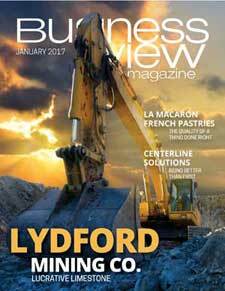 Business View Magazine profiles Berea Ohio, a town of 19,000.In Cuyahoga County, about 17 miles southwest of Cleveland. It is said that the town of Berea, a city of 19,000 souls in Cuyahoga County, Ohio, got its name by the flip of a coin, back in 1836. In one version of the tale, the Reverend Henry O. Sheldon, a circuit rider, and later the town’s first postmaster, had suggested two possible names for the small community due west of Cleveland: Berea and Tabor. As the story goes, John Baldwin, an educator from New England who had moved to the area in 1828, called heads. So, Berea it was. In addition to founding the Baldwin Institute in 1846, which later became Baldwin Wallace College, this somewhat unconventional but multi-talented man was also largely responsible for the town’s early prosperity. Another story goes that one day, while walking home, Baldwin impulsively took a new route across the river on his farm and noticed a grouping of exposed rock on its banks. And that was the beginning of the successful Berea Ohio quarrying industry that began in the 1840s and lasted for another hundred years. Baldwin surmised that the sandstone he espied would be suitable for grindstones for the sharpening of tools for farms, homes, and industry. So, he invented a lathe that cut slabs of sandstone into grindstones and shipped them to Cleveland by ox cart. Later on, he built a spur railroad line to connect his quarries to the Big Four Railroad that ran between Cleveland and Cincinnati. In time, Berea Ohio grindstones became world famous and building stone from Berea quarries were used in prestigious buildings in the United States and abroad. 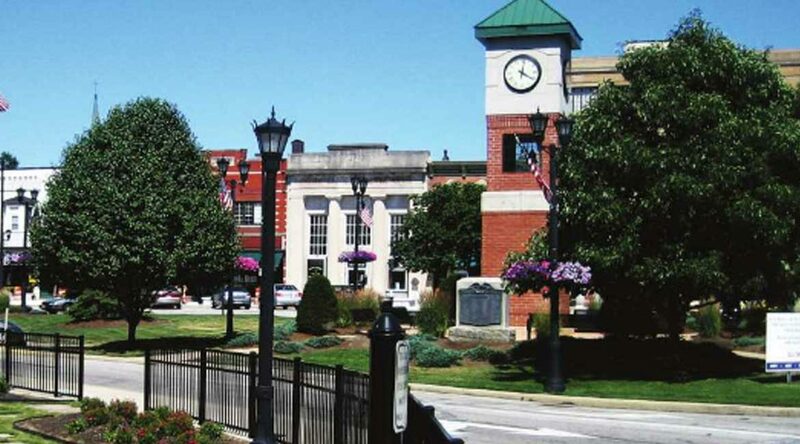 But Berea’s fame as the “Grindstone Capital of the World” ended in the early 1940s, as concrete began replacing building stones and carborundum grinding wheels replaced grindstones. 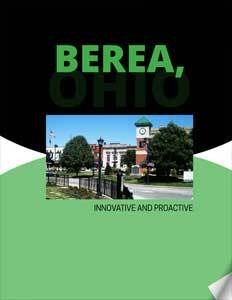 Today, Berea Ohio is moving forward to revitalize its economic future. Matt Madzy is the town’s Director of Economic Development. His department’s mission is to help local businesses thrive and grow, and one of its initiatives is connecting businesses with the resources that best fit their needs. To help achieve that goal, the City of Berea Ohio has partnered with Baldwin Wallace University and, a few years ago, the town and the school came up with two programs that are currently providing some of the community’s small and medium-size businesses with needed services, while simultaneously giving students real-world experiences outside of their classrooms. Tim Marshall is the Director of the Digital Marketing Clinic, which is part of the School of Business at Baldwin Wallace University. “We have a similar arrangement with the City of Berea through a grant program with Matt and his team,” he says. “Businesses that are based within Berea Ohio can apply for a reimbursement grant through Matt’s office that would pay for the cost of our Digital Marketing Clinical services. Madzy agrees that there is an added virtue in having students from the University interact with local businesses. “Our goal is to work with the students in the University programs, get them ingrained in our business community and then, hopefully, retain them as residents; take the students that are here and give them an opportunity to stay,” he says. Check out this handpicked feature on Fredericton, New Brunswick – Igniting knowledge.